In between work and RWA shenanigans I'm a bit behind on blogging about recent reads, and the further away I get from these books? The more my memory is fading. So on to some mini-reviews! 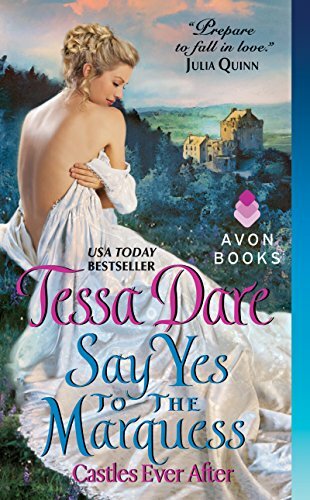 Say Yes to the Marquess by Tessa Dare is the second book in her Castles Ever After series and one I should have probably liked more than I did. Clio Whitmore has become a laughing-stock to the ton, having been kept waiting by her fiance for eight long years while he's on the Continent in service to the Crown. Well, "Miss Wait-more" has had enough. She goes to our hero, Rafe Brandon, her fiance's younger brother with dissolution papers. Rafe is a boxer and a disappointment to his family, but with Piers on the Continent and their father dead, Rafe has been appointed Interim Marquess. He's not about to sign the dissolution papers because he's loved Clio for years, thinks he's not good enough for her, and to prove to everyone that he's not a screw-up he's going to make sure that everything is ready and waiting for Piers' return...and that includes Clio. Dare has this uncanny ability to write Cotton Candy Topped With A Glittery Pink Bow while still giving readers some depth. Here it's in the form of Clio, who struggles with feelings of inadequacy and a desire to have a life that means something outside of "having a man." Unfortunately, Rafe's way of thinking defies logic most of the time and Clio being a coward, hoping that Rafe will do "the dirty work," rather annoyed me. Why Clio just doesn't write Piers a letter explaining that she's tired of waiting and perhaps they aren't well-suited is beyond me. Of course it takes Dare so long to disclose that correspondence ACTUALLY HAPPENED that I spent the first half of this novel thinking "What?! I'm supposed to believe they never write each other?!" Especially when it's disclosed VERY early on that Clio takes the time to WRITE TO RAFE!!!!! Authors: This is the kind of thing I nit-pick to death. In case you care. Which you probably don't. Plus, to be frank, I don't "get" weddings. Oh sure, I've attended them. I mean, say the words "open bar" to me and I'll show up just about anywhere. But all the wedding nonsense in this book got real old, real fast. Some women see weddings as this grand fairy tale and I see them as....a waste of money. Say yes to the dress? Yeah....no. Fans of light historicals will probably love this, but it just seemed to drag on and on and on for me. I think I'm tapping out on this series. 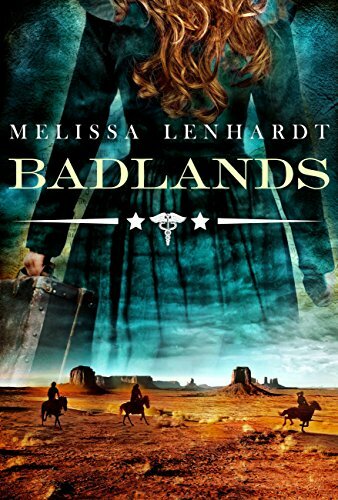 Badlands by Melissa Lenhardt is the final book in the trilogy about the former Dr. Catherine Bennett, now Laura Elliston, on the run after she's accused of killing one of her wealthy patients' husband. This picks up where Blood Oath left off, and while it ties up the series well (and Laura lives happily-ever-after), I wasn't madly in love with some aspects. For one thing, Laura starts this series as a strong, independent woman and as events unfold she becomes weaker and more dependent by the day - to the point where she's going through opium withdrawal and wringing her hands over what to do. Yes, she's currently separated from her love, William Kindle, but get it together cupcake! The best parts of this entry, for me, revolved around the whore, Rosamunde, who you're not quite sure is friend or foe. Literally, it could go either way. Finally, stuff happens, and Laura realizes she has to go back to New York City to clear her name. This felt somewhat rushed me, after spending the whole trilogy leading up to it, but it resolves itself satisfactorily, and there's even a nice little twist thrown in from keeping the resolution from being totally obvious. While I would easily classify this trilogy as Historical Fiction with Romantic Elements, the violence has made this a difficult series for me recommend universally. In the previous two books I cringed at the violence, but I understood (OK, mostly) why it was there. In this book? Not so much. What to say about David Spade Is Almost Interesting? Well, it's a quick listen on audio. Also, you have to have a tolerance for David Spade. If you don't like him going into this book, there's nothing here to change your mind. The parts I liked best? The details about his career prior to Saturday Night Live, and his time with the show. 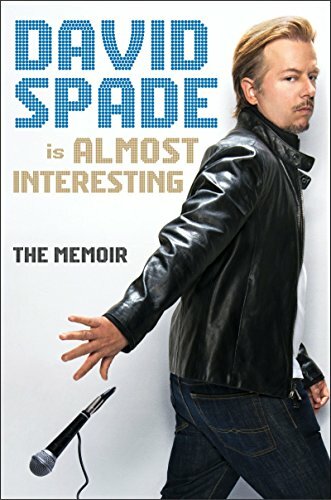 Spade knows what he's good at, and what he's not - and his struggles with writing and performing on the show (and the fact that he owns them) were refreshingly frank. Naturally, he does talk about Chris Farley, although probably not in detail fans will want. I'm left with the impression that they were genuine friends and cared about each other - but Spade hardly bares his soul. Farley's excesses, and how Spade felt about all that? Details on the aftermath? Yeah, keep moving along. Nothing to see here. You also have to have a high tolerance for how women are talked about in this book. How to put this delicately? Basically imagine eavesdropping on a conversation between stereotypical frat-bros. A lot of it (OK, most of it) is incredibly cringe-worthy. At least Spade owns up to when he's a dip-sh*t - but that's not always enough.